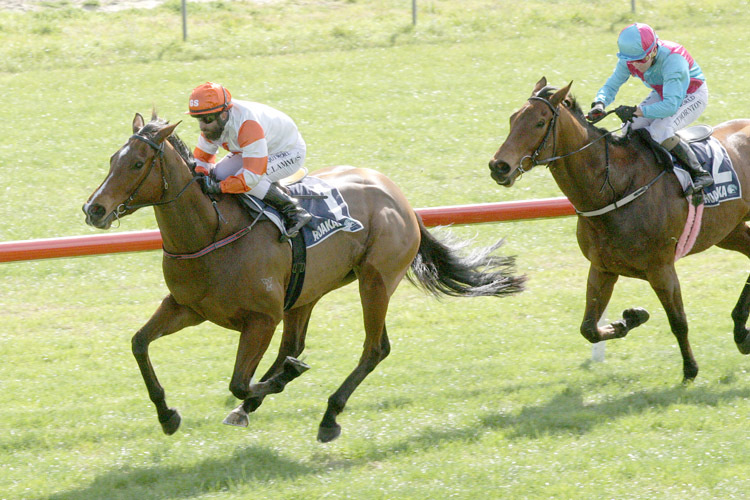 Last season’s Gr.2 Royal Stakes (2000m) winner Hello It’s Me made a winning start to her spring campaign when she took out the opening event at Ruakaka today. Prepared by the local powerhouse stable of Chris Gibbs and new training partner, Michelle Bradley, Hello It’s Me was expected to have too many guns for her five rivals in the rating 82 6 f sprint and so it proved as she cruised clear in the run home to record an effortless victory. “She was a bit chubby and went into it quite fat, so I said to Cameron (Lammas) not to knock her around if he could help although she was here to win if she could,” he said. “There was always going to be pace in the race and it suited us right down to the ground. They took each other so we couldn’t have been happier. Hello It's Me holds a nomination for the Gr.1 Livamol Classic (2040m) with Gibbs keen to see her win a place in the event. Hello It’s Me currently sits in 21st place in the order of entry for the Livamol Classic and is rated a $21 chance on the TAB Fixed Odds market for the event that will be run at Hastings on October 6.